Jalandhar is the city in Punjab which capital is Chandigarh. The education in Jalandhar is reached by the students through various educational and academic institutes. Colleges in Jalandhar offer programs such as Graduate, Postgraduate, Diploma and Certificate programs in various fields. The courses offered by the Colleges in Jalandhar are Humanities, Engineering, Agriculture and farming, Medicine, Law, Business, Veterinary and so on. Apart from regular programs Colleges in Jalandhar also offer programs in various modes such as distance learning, correspondence courses and some provide campus study. Professors and faculties in colleges of Jalandhar are well-versed and experienced. The colleges are well equipped with modern facilities such as computers and libraries. 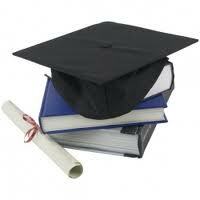 "Following is the list of Colleges in Jalandhar. All Colleges in Jalandhar are divided into Location wise. We have even listed college in Jalandhar as per alphabetical order which is easy to find the desired college and information on it. If you come across any college in Jalandhar which is not found from our list below, please do let us know by using add in list which is default in our website”.